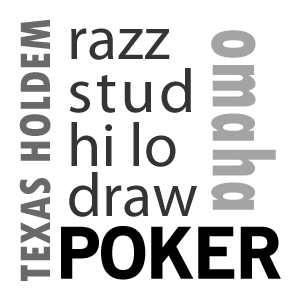 The Basics of Mixed Game Poker …. 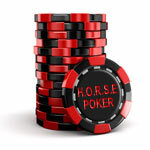 Mixed Poker Games are becoming very popular over recent years and are considered the true test of your poker skills. Players who perform well in mixed games are often held in high regard and well respected in the poker community. It is one thing to become an expert in one particular variant of poker but it is very difficult to become an expert at all poker games. This is why playing mixed poker games is considered a big challenge because you have to play well at multiple poker games, some of which you will be more comfortable playing than others. Playing mixed poker games will make you a more rounded poker player. If you current just play a single poker game such as Texas Holdem then you will find that learning other games required to take part in mixed poker games will actually help your Texas Holdem game. It will also keep Poker fresh rather than playing many hundreds or thousands of hands of the same game, you can add variety into the mix. Since you need to learn between 5 and 8 poker games to play mixed poker games, it really isn’t a game that we recommend to you as a new poker player. Generally you want to learn and play some single games first to get some experience. The switching games and rules can get very confusing very quickly for a new poker player and mistakes can happen easily. When you play a mixed poker game then you need to be able to play to your strengths. The first thing you need to do is to identify what your strengths and weaknesses are. The ultimate aim is to be able to play all the games involved well but in practise you will have certain games that you are more comfortable with and these are probably the rounds that you will excel in. You should make sure to focus on these rounds to maximise your profit and then tighten up your game in the rounds you are less comfortable to minimise any losses. You’ll also need to be able to switch strategies quickly as you will be changing games on a regular basis and each game will require different strategies. If you try to play all the games with the same strategy then you will not be very successful as a mixed poker game player. It is very difficult to multi table with mixed poker games so this is not something we would recommend to start with. Since there are multiple games rotating then if you play on multiple tables at the same time, then you will be playing different variants on different tables which unless you are very focused is bound to lead to unintentional mistakes. The standard of player at the mixed poker tables is usually very high. Most players are regular players that have plenty of experience playing the individual games and the competition will be quite tough, but that is part of the attraction of mixed poker games, it is a challenge. Mixed Poker Games are great ways to break up the monotony of playing many hands of a single game throughout a poker session. We encourage you to give it a try after you have played some of the individual games first. A great and inexpensive way to try out mixed poker games is to play in a low stakes mixed poker online tournament. You can find these for a few dollars buy in and can give you a great taste of the games without much financial risk. We recommend that you head over to our Play Poker section where we can recommend to you an online poker site that is trusted and also offers Mixed Poker games.